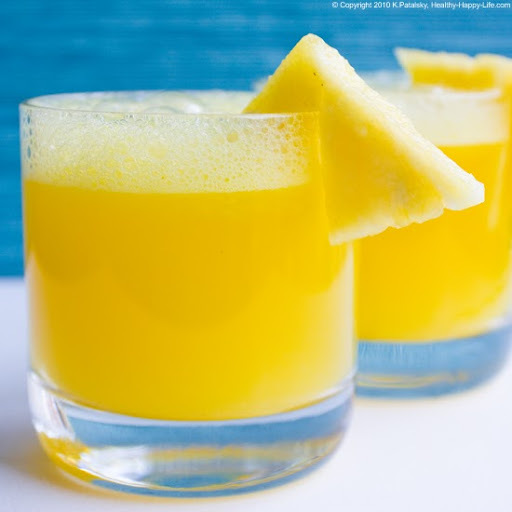 Help for Seasonal Allergies: Six Sips and Tips for Achhoo! My poor husband has been drowning in vicious seasonal allergies this week and all I want to do is pour fresh healthy juices down his allergy-stressed throat. Sinus pain, itchy eyes, miserable pressure headaches and Claritin-D pill popping is no fun. But guess what, drinking fresh juices and smoothies is! Getting a nice dose of live enzymes and healthy nutrients from fruits and veggies is my at-home wellness tip for anyone who is "Achoo-ing" themselves into misery. I Have No Time to Chew. Someone once told me that they have no time to chew during their workday. I laughed, but I also get it! It's tricky to digest a big bowl of fruit or veggies when your stressing out over meetings and your Blackberry won't stop violently blinking at you all day long. Superfoods. There's obviously no cure for seasonal allergies. But you can test and try out a few of these flavors and ingredients and see if they ease your allergy symptoms at all. The idea is that healthy foods are healing foods. Lightbulb! Instead of chugging a double Tall iced cappuccino in the morning between sneezes, try chugging a nutrient and enzyme rich juice or smoothie. Fun Fact: The National Institute of Health sites that fruit enzymes like bromelain are proven to be an effective way to assist in treating Sinusitis (sinus inflammation) and inflammation pain. Give your immune system a hand! Nurture it with live enzymes and healthy nutrients. The enzyme action from fruit enzymes like papain and bromelain might assist your distressed immune system. Spicy Kick! Wack those allergies with a spicy kick from foods and accents like ginger, cayenne and garlic. My favorite line at the juice bar this time of year: "extra extra ginger please." "...and yes lost of cayenne." Lots of fresh live raw enzyme action from the bromelain in pineapple. Juice freshly cut pineapple for the best effects. 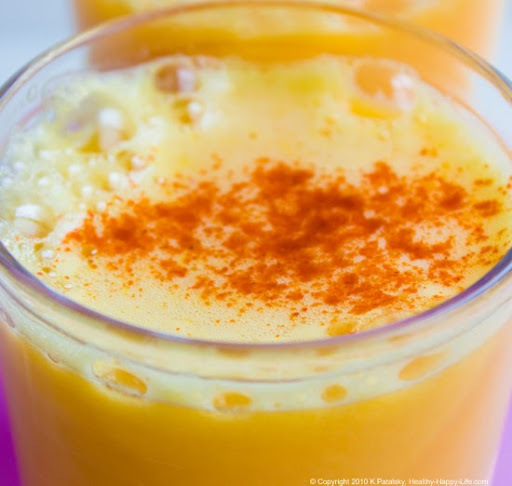 Add some ginger or cayenne for a spicy kick. 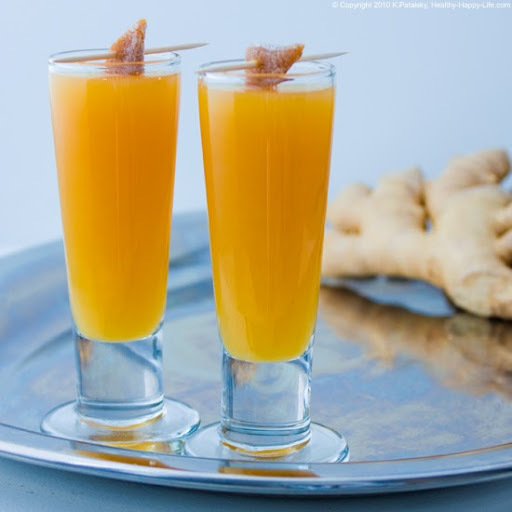 Lots of vitamin C and spicy ginger in this simple morning juice that I make for my husband quite often. 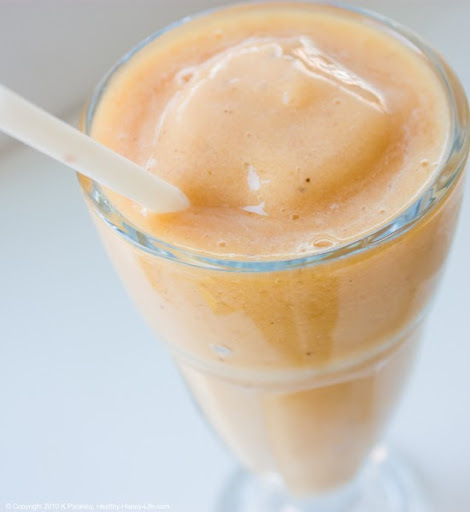 This one is a smoothie. And it's awesome. 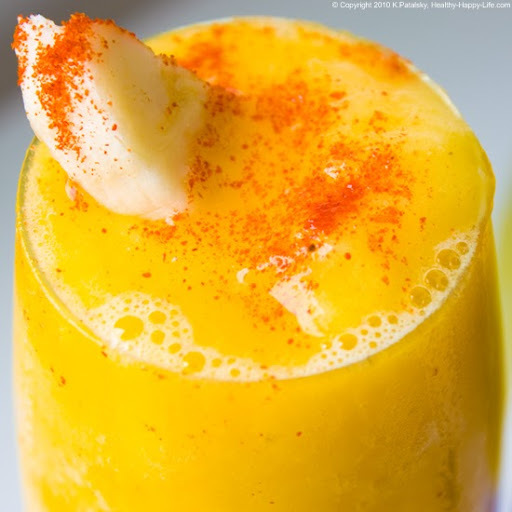 Fresh zing flavor with a super spicy kick to cool your throat off and wake your sinuses up! Plus some potassium rich banana to help with any dehydration from all that sneezing! Vitamin A and a sweet smooth beet flavor. 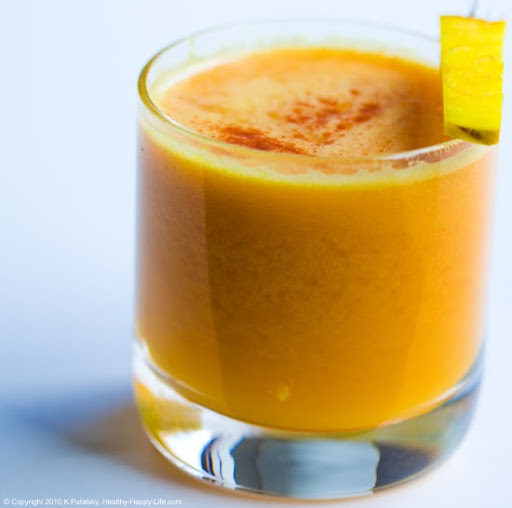 If you are craving a veg-based juice - try golden beets and lots of ginger. Perfect combo fo flavor and wellness-appeal. Rich in the fruit enzyme papain, papayas are one of my favorite wellness fruits for breakfast. 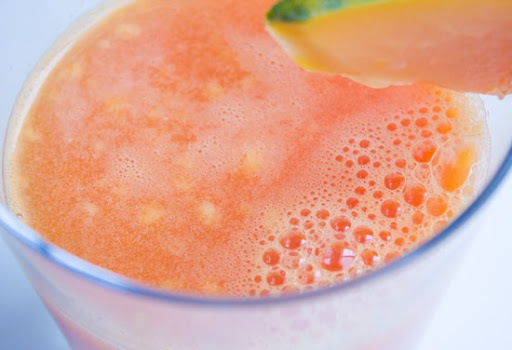 Get an easy dose of papaya by juicing it! Juicy papayas will produce a nice amount of juice too - so let the pink-juice-chugging begin! Bonus! Calm Tummy Banana Smoothie. Sometimes its nice to calm out a frazzeled tummy. Allergies can make your digestive system a bit confused and upset. 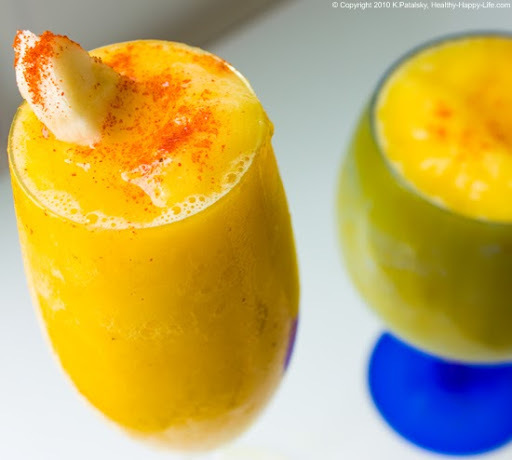 So here is one of my favorite smoothie recipes for chilling out a hungry belly. ...and you can never go wrong with Green Juice. My Green Juice 101 here.